As Apple's third-generation iPad is no longer for sale, we've retired this book. 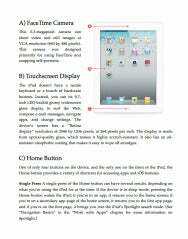 Instead, we invite you to check out our fourth-generation iPad Starter Guide. Whether you already have a new iPad in hand, are waiting anxiously for its arrival at your doorstep, or are seriously considering purchasing Apple’s latest tablet, let the Macworld editors help you get to know the third-generation iPad with our iPad Starter Guide (Third Edition), now available for download for $3.99 from the iBookstore. Totally new to the iPad and not sure where to begin? Our Starter Guide will introduce you to the new iPad’s exterior and teach you how to activate the device. You’ll discover basic gestures for navigating through apps and home screens, and learn some of our favorite iPad tips and tricks. Maybe you’ve owned an iPad before, but want to freshen up on the device’s features and learn about new iPad additions. We’ll walk you through Notification Center, Dictation, and iCloud, Apple’s syncing service. Learn how to customize your settings to your liking, discover downloadable Apple apps like Find My Friends and Find My iPhone, and find out which third-party apps are worth your time. 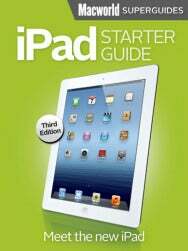 To read Macworld’s iPad Starter Guide (Third Edition) on your iPhone, iPod touch, or iPad, you can download it now from the iBookstore for $3.99. And it’s also available on Amazon’s Kindle Store. There's also a PDF for $3.99 and a bundle of PDF, ePub, and MOBI for $4.99 available on our Web store. We hope you have fun getting to know your new iPad. If you want to learn even more about your new tablet, stay tuned for our full-sized iPad Superguide, coming soon to the iBookstore and Kindle Store, and as a PDF. If you want to learn more about your other Apple devices, make sure to check out our available Superguides including our iPhone 4S Superguide and our Total Lion Superguide. For those who want to be savvy iOS users, our iBooks 2-exclusive ebook 12 Things Every iOS User Should Know has you covered.